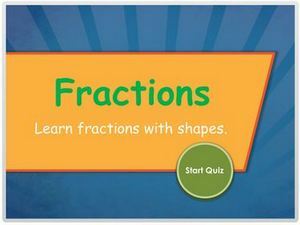 This is a fractions quiz online for kindergarten. Here kindergarten kids will be introduced to the notion of fractions with the help of pictures. Basic fractions are illustrated through portions of shapes. Kids will learn about halves, thirds, fourths, fifth and so on. 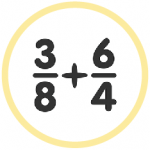 This exercise will prepare kids for the next level which entails finding the fractions of numbers in a group. Review skills online and track your score.